Why so few McCarty Soapbars with trems? Discussion in 'Electric Instruments' started by H2-DGT, Mar 2, 2018. DGT nut width is slightly narrower, different fretwire, neck shape, pickups, and different layout of knobs. I believe the body thickness is the same though. 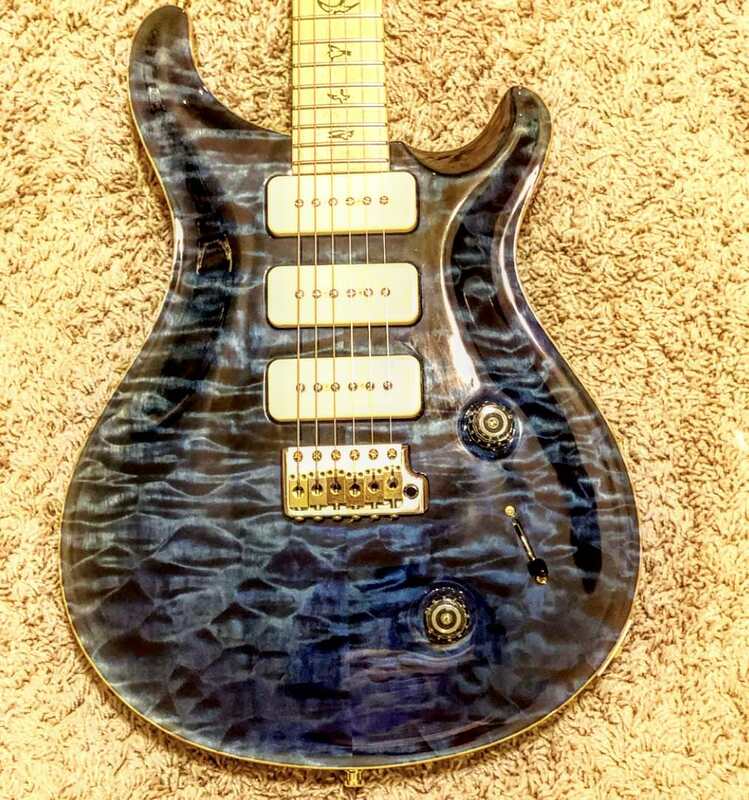 Great thing about the DGT, it's a McCarty thickness, with basically the old PRS Regular neck and big frets. Big Mike and Glide-bpm like this. Bill SAS 513, WA Paul, toothace and 3 others like this. Yeah, I would love to have it but I'm not gigging so I've dialed down my spending plus I've got something else in my sights. bodia, Glide-bpm and Big Mike like this. The one on eBay... $3K for a 20 year old guitar with no birds. You’d have to want one really bad. Super low #'s built...less than 10 at best info I had. If it's clean, it's a rare beast for sure. But you gotta love soapbars, and need a trem. Edit: hah. Didn't realize that was you Mike. RedGuitars and sergiodeblanc like this. Now this is freakin nixe!!! Indeed a rare bird (no pun intended), but Tony Venn wasn’t asking near that amount when he sold Grissom’s McTrem prototype. Granted no P-90’s, but I really wanted that one! You and me both. I’d shank a fool for that one. Better yet the Ely era 24. But some stuff has gotten out of control for sure. My days of a new PRS are over. Cruising reverb! That guitar will be visiting my house this Sunday. RedGuitars and bodia like this. There’s a lot to hate me about with regards to PRS guitars right now. Get over here and you can check it out. Big Mike and bodia like this. Nah, I’m afraid to touch two of your guitars. One of my greatest friends in the world and my ex-manager. He’s not a forum guy. You talking about that mccarty Grissom guitar that was on VR a while back? I want that one Sooooooo bad. I'd drive to chicago to play that!!! Big Mike and sergiodeblanc like this.